Posted by spiros26 in Spiros Lavdiotis. Ευχαριστώ, γι’ άλλη μία φορά, για τη δυνατότητα που μου δίνετε, να μοιραστώ λίγη από την πλούσια γνώση που έχετε αποκτήσει, κατά τη διάρκεια της μακρόχρονης και πολυτάραχης ενασχόλησής σας με το ελληνικό αλλά και παγκόσμιο οικονομικό γίγνεσθαι. 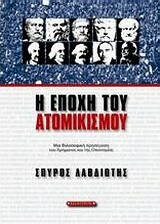 Βασίλης Κασούνης (μαθητής και φίλος). I am happy that I heard from a familiar person despite that we have been out of contact for many years. Jim, I hope you and your family are all well. Please leave your telephone to be in touch.Regards, Spiros. Very happy to hear fromn you. Is the following email address valid? Your reply is very laconic, it is similar to the Spartans of Lycurgus epoch. The e mail address is correct and my phone No.in Athens is 210-8073833. World is waiting for an English publication from you. Greetings Spiro, hope the family is well. How will things go, will the government pass the budget. Greece is receiving all of the attention this side of the pond. North Americans are particularly interested in the well being of “Loukaniko” (the dog). Hope the austerity measures do not negatively impact his life style. Have the closed professions been opened up? George and I just saw the video of Pandoras Box and i read some of the articles you wrote. Great work.